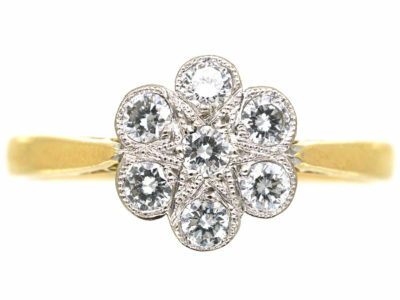 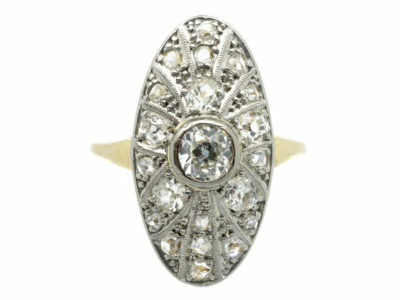 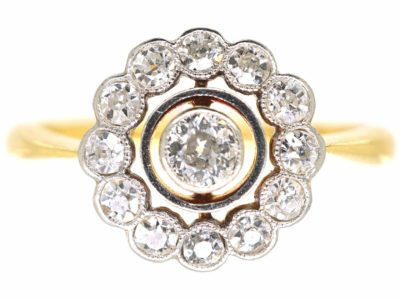 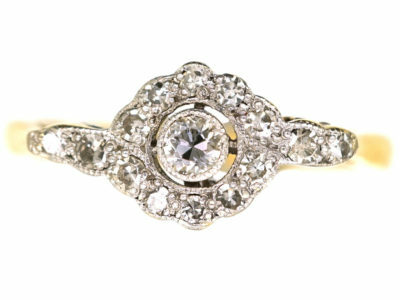 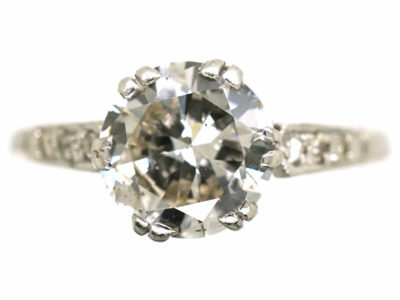 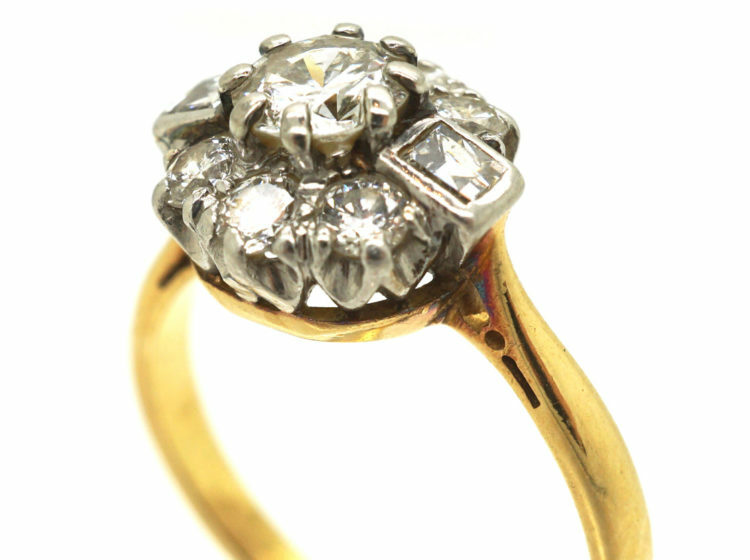 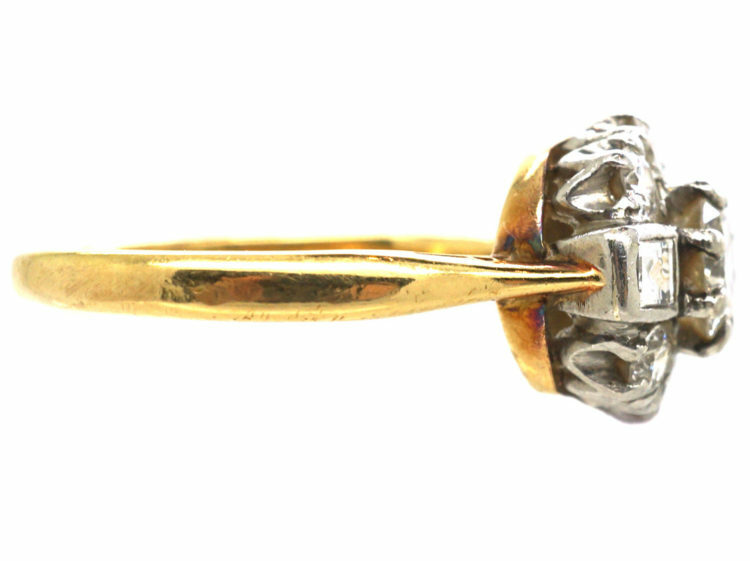 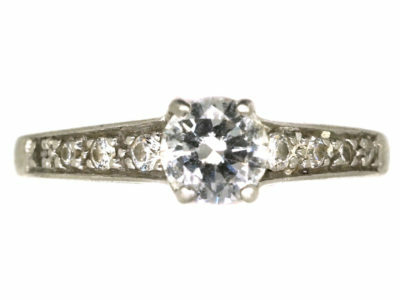 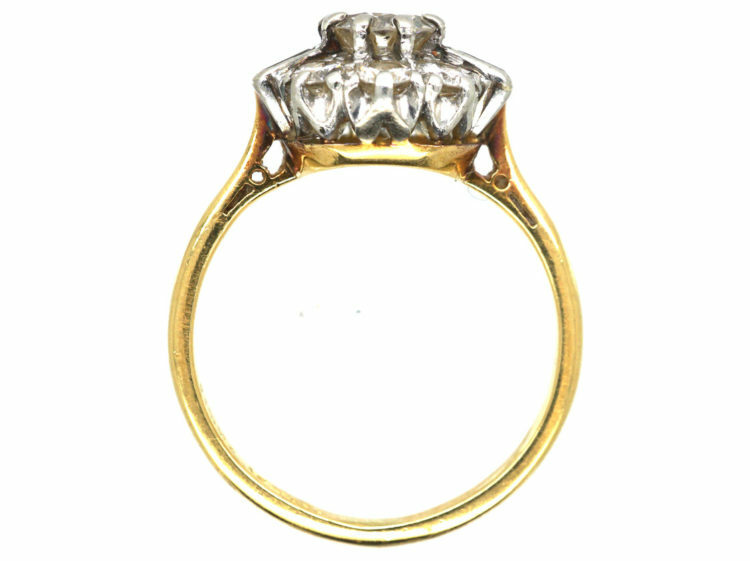 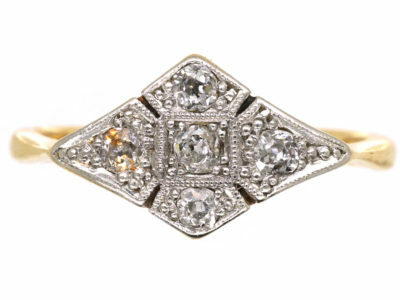 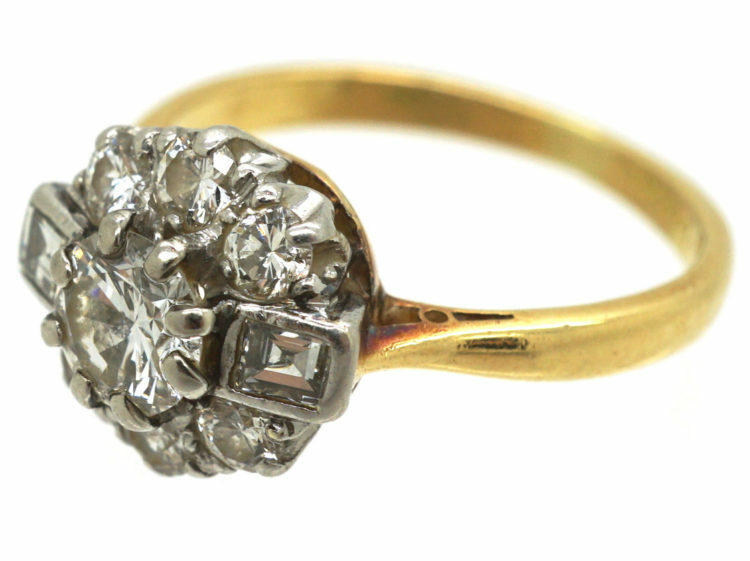 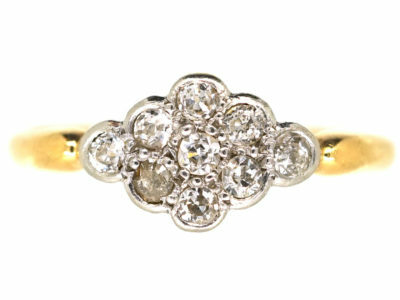 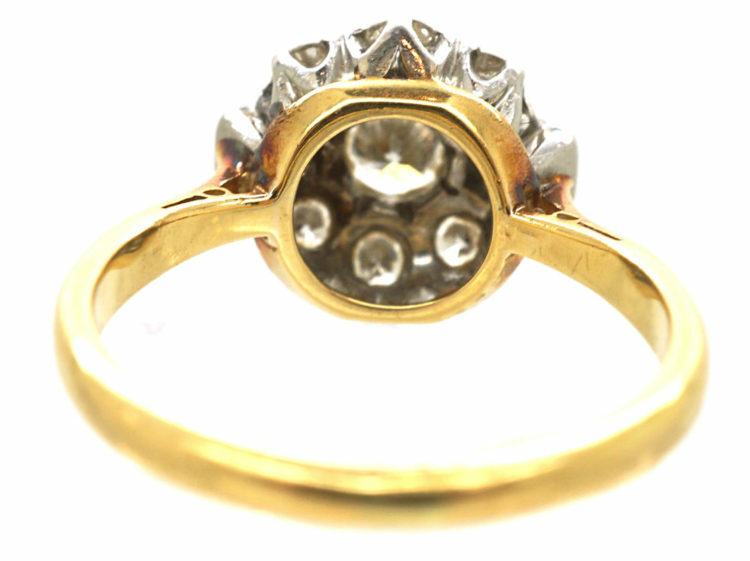 A classic 18ct gold diamond ring that was made in the 1920s. It has a platinum top and has been set with a central forty point diamond with three round diamonds above and below and a square cut diamond on either side. 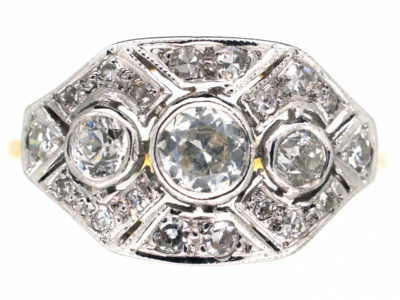 The diamonds are all well matched white stones. 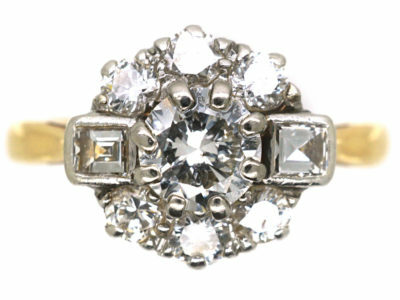 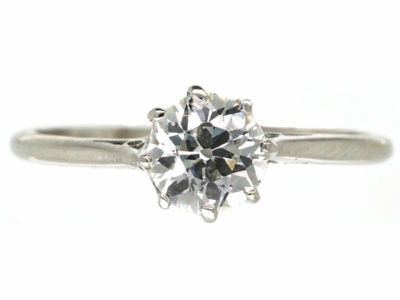 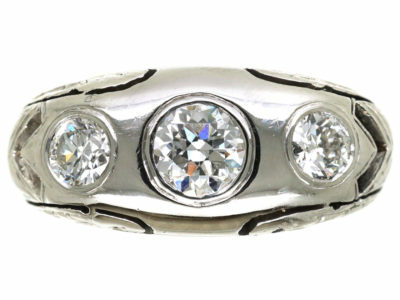 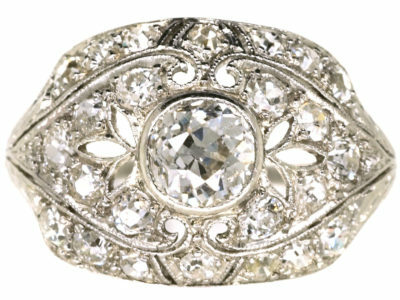 It is a really pretty look when worn and would make an ideal engagement ring.